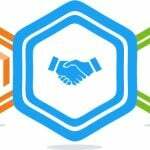 For a Magento stores which have the global target market, prices and currencies are very significant factors because they directly affect benefits of both customers and store owners. 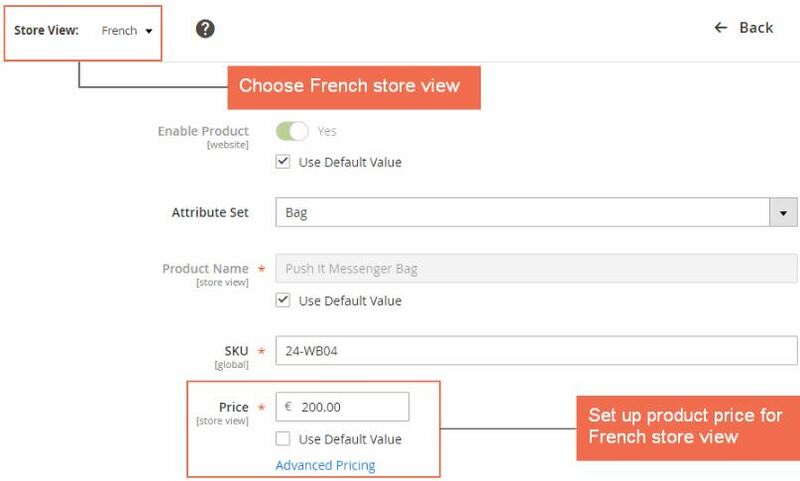 Therefore, Magento 2 Multiple Store View Pricing extension is developed to help websites with multiple stores or multiple store views to customize wanted prices and currencies for each local market. As a result, a business can not only improve the shopping experience for purchasers but also get wiser pricing strategies for particular countries and regions. 1.1 Does Magento Default Support Setting Different Prices for A Product per Store View? 1.3 How Can Magento 2 Multiple Store View Pricing Extension Benefit You? Magento 2 Multiple Store View Pricing extension helps store owners to sell a product at different prices per store view. 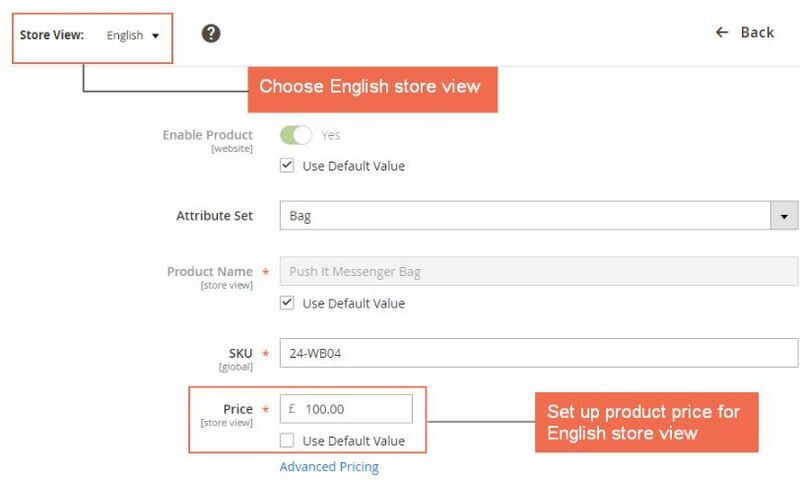 By navigating to each store view and setting up specific prices for the same product in the backend, customers who buy this item from various store views don’t pay equal amounts. 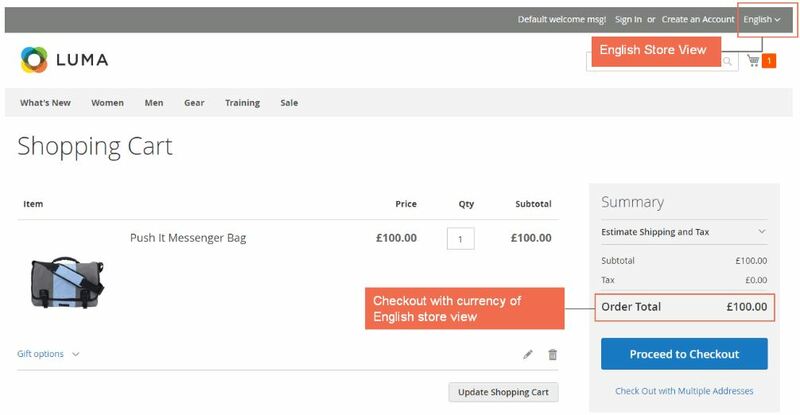 Besides, setting up base currency for each store view is also a smart and outstanding feature of this Magento 2 Multiple Store View extension. Therefore, it is very convenient for customers to purchase products and checkout with their currencies without making any exchange. Does Magento Default Support Setting Different Prices for A Product per Store View? When you set up the price for a product in the backend, have you noted that its scope is Website level? It means that product price is similar in every store of the website and every store view as well. 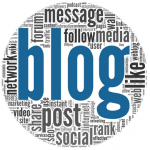 Besides, the scope of base currency is Website also, which causes customers to only use one currency to checkout no matter which store view they buy products. Therefore, this one can limit pricing products for international transaction and customers are likely to face much inconvenience when shopping and making payment. 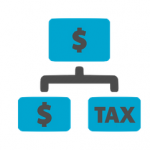 How Can Magento 2 Multiple Store View Pricing Extension Benefit You? By installing the module for multistore websites, a business can come up with a suitable pricing strategy for each local market instead of selling at the same prices as in the default. Hence, this can contribute to both increase revenue and considerably save many costs such as production, operation or storage. After installing this Magento 2 Multiple Store View Pricing extension, the first thing we need to do is to go to Store → Configuration → Catalog and change the Scope of Catalog Price into Store View so that we can set product prices at the Store View Level. 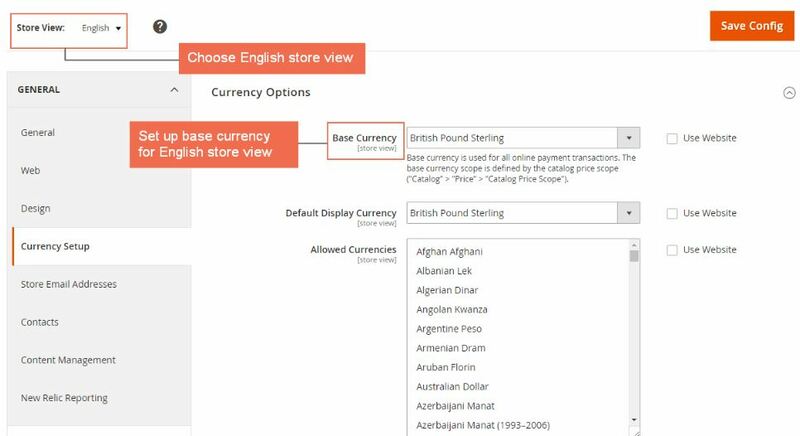 Secondly, to allow customers to use base currencies of their store views to checkout, we go to Configuration → General → Currency Setup and start settings for each store view. Also, depending on business demand, we can also select Display currency and Allowed currency corresponding to each store view, so that product price display becomes more convenient. Finally, you go to the Product Edit Page to set separate prices for each store view. 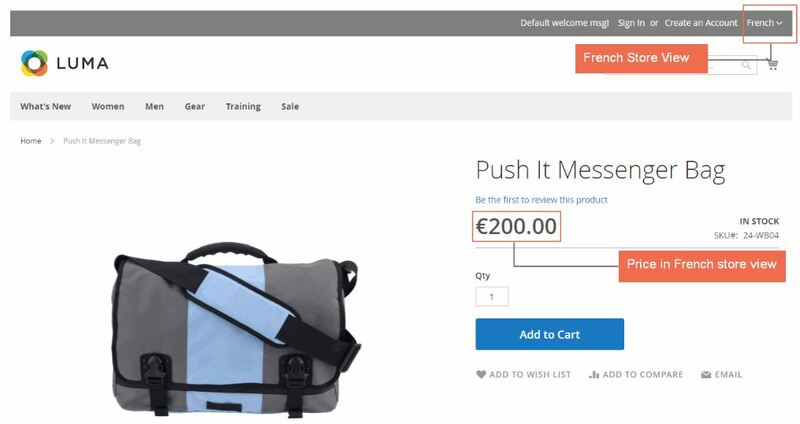 For the better understanding of how the module can function, we will take two examples: setting up different prices for “Put It Messenger Bag” in 2 store views as English and French. Then, just need to save the configurations to check results in the frontend. In the frontend, you go to the product that you have just set up the price to see price differences between store views. 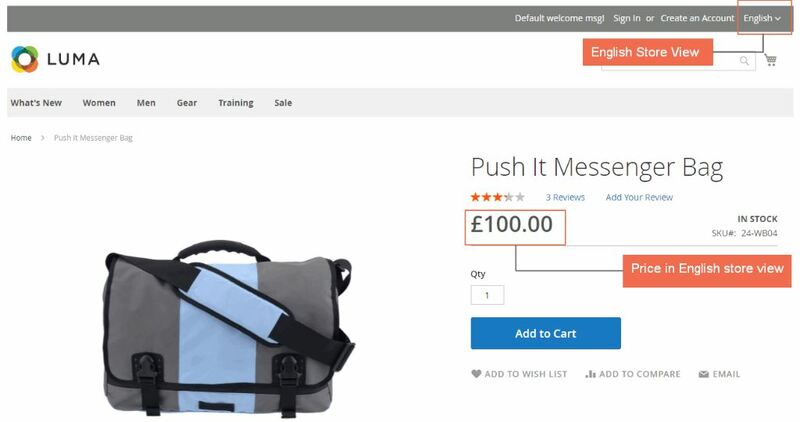 Moreover, if a customer purchases Put It Messenger Bag from English store view and go to the checkout, they will pay with the base currency of English as British Pound Sterling. Therefore, it is very convenient for global purchasers to make payments without exchanging into other currencies like default Magento. 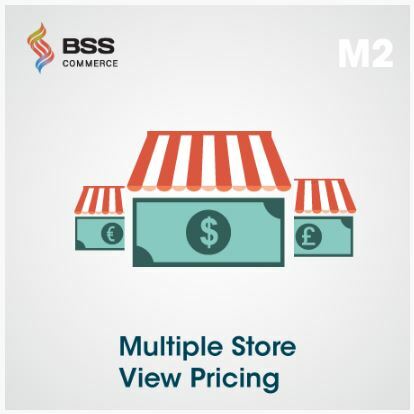 If you own a Magento website with multiple stores or multiple store views, this Magento 2 Multiple Store View Pricing is one of the most suitable solutions for you. It can help you get advanced functions which are not supported by default Magento and contributes to improving shopping experience on your store.